Nelson and Rodrigo Pessoa have developed a saddle fitting system like no other, designed to fit the horse and the rider in perfect harmony. This line of innovative saddles is designed to meet and exceed the exacting standards of competitive riders. 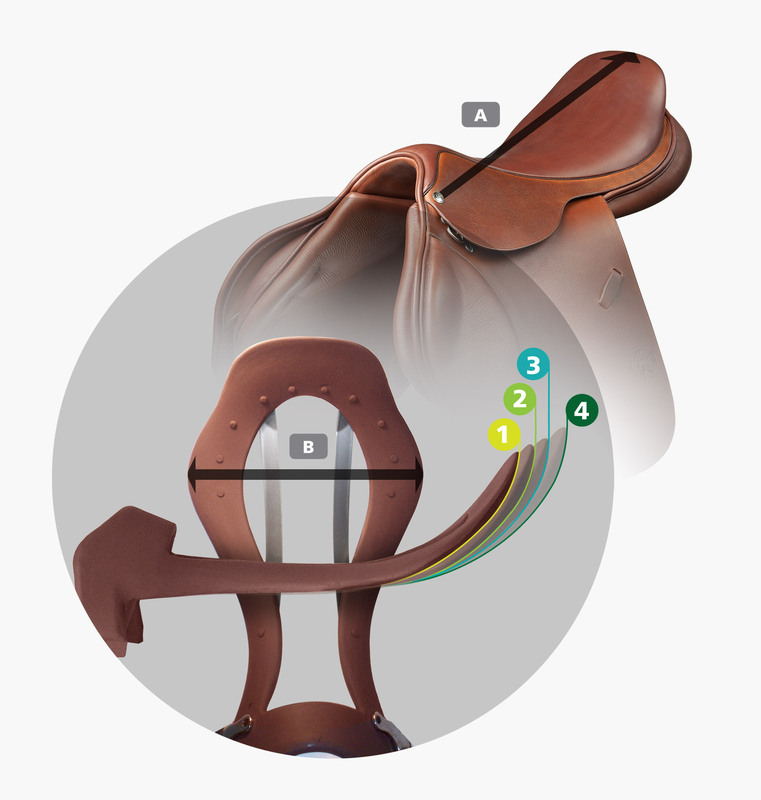 The System creates an incredibly adjustable saddle. 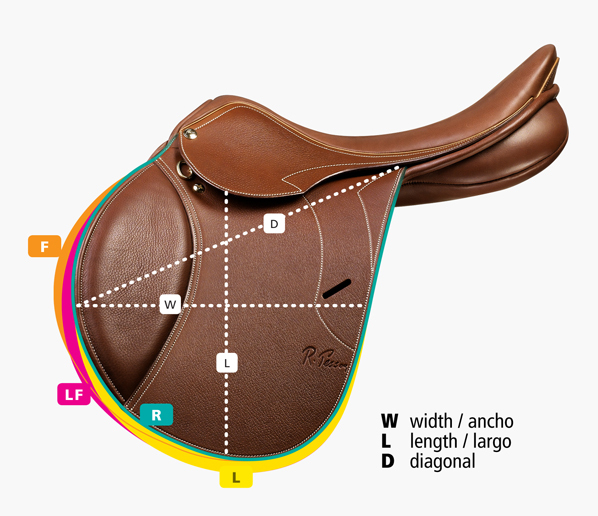 Each saddle has 420 options to create a tailored fit for horse and rider. Pessoa’s perfect answer for someone seeking custom saddle fit. Seats 16.0” to 18.0” (1/2” increments). 4 flap options: Regular, Forward, Long and Long Foward. 3 panel options: Standard, Corto and Alto. 7 tree widths with X-Change® System: N to XXXW. AMS® Panel System allows saddle to be re-stuffed and re-shaped when necessary. The panel depth and shape varies according to the type of horse it is most suited to. 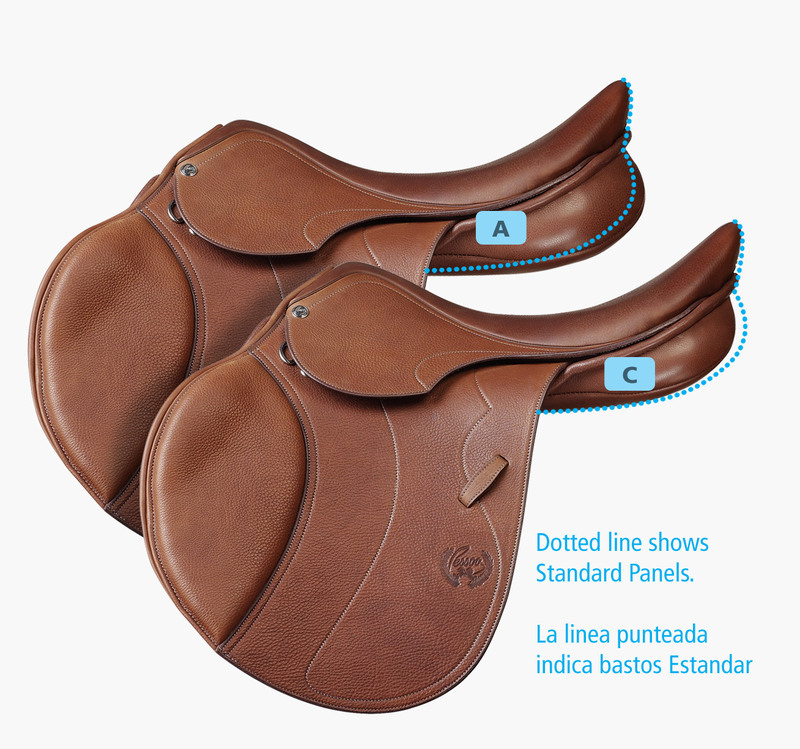 Pessoa saddles have up to 3 panel options: Standard, Corto or Alto. Average conformation. Typical narrow to medium tree, easy saddle fit. Average wither and length of back. Typical Thoroughbred profile. Atypical conformation. Extremely high wither, large hollows behind wither, broad, laid back shoulder. Very sensitive to saddle fit. Typical older horse profile. Very muscular, broad, flat back. Especially good for short-coupled horses where larger seat sizes are difficult to fit. Typical warmblood profile. The seat is measured up in a straight line from the saddle nail up to the cantle in its middle part. The measurement is determined by the physical built of the rider and the horse. 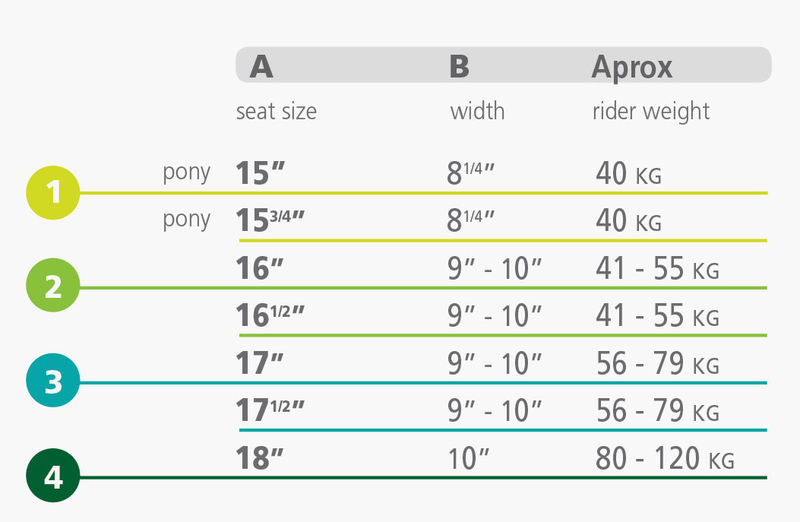 As a general norm the measurements lower than 17 “ are for young riders. On the other hand the 17 “ and 17.5” saddles are for adult riders. And finally the 18” are for big built riders.